The National Association of Realtors released its monthly Pending Home Sales Report, and it appears as if things are still going well (there seems to be a positive stream of reports now going back 15 straight years). Lawrence Yun (pronounced Yawn by those of us who have tired of his reports that white-wash conditions in the real estate market) has produced yet another positive report on US home sales. You can read NAR's Pending Home Sales Report, or just keep reading here for a more objective view of the Tallahassee housing market. 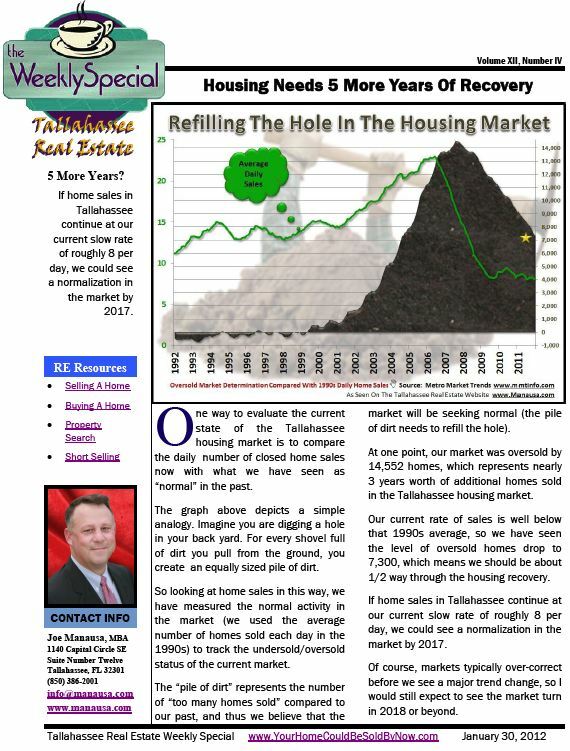 Reminder: The Weekly Special Report went out again this morning to everybody who subscribes to the Tallahassee Real Estate Newsletter. If you would like to receive each week's FREE special report, all you have to do is subscribe today (). When we look at the current Year over Year Pending Home Sales Report for Tallahassee, Florida, we see declines in the final three months of 2011. All together, new contracts rose in 5 of the 12 months last year, when compared to 2010, but overall, new contracts were not as strong in 2011 as they were in 2010 (previously our worst year ever). The real deal on pending home sales in Tallahassee is that they are on the decline. So how does all of this look in a graphical format? 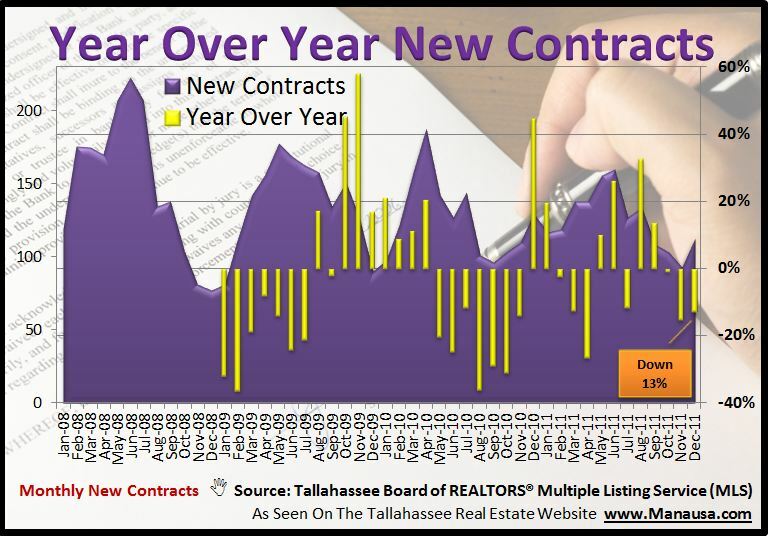 The real estate graph above shows a 365 day trend of new contracts posted to the Tallahassee Board of Realtors Multiple Listing Service. 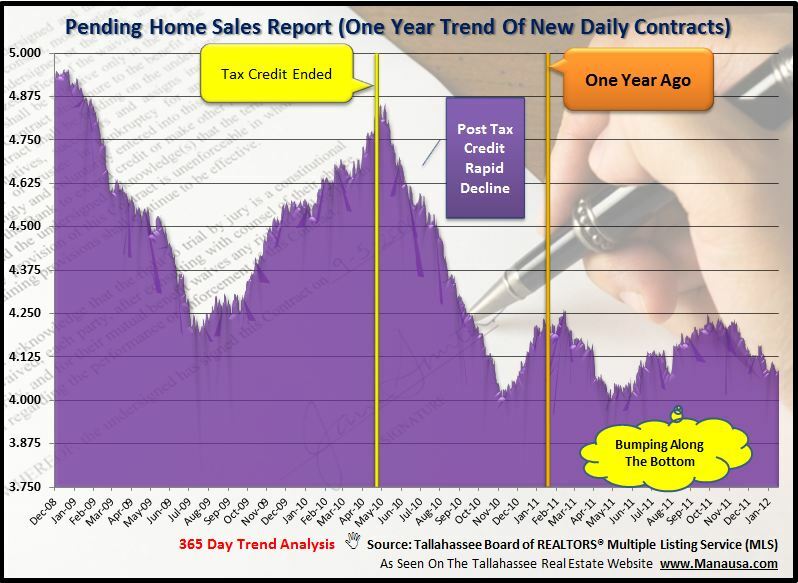 It appears as if our market is "bumping along a bottom" that was found in 2010, after the end of the Homebuyer Tax Credit. 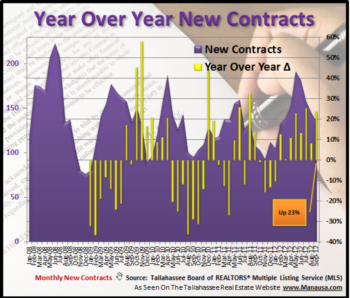 New contracts are at a lower level now than they were just one year ago, and the current trend is falling. It's hard for me to white wash what we are seeing, though I'm sure our great team at NAR would point out that "now is a great time to buy." I don't think homebuyers are missing that point. Everybody knows that this is a great buyer's market. The problem is the same today as I have been reporting for years, and it is getting worse. Buyers want to buy. They want to take advantage of these great low rates and low prices. But many can't. Most buyer's first have a home to sell. A home that is upside down (more money is owed on the property than it is worth). They need a solution to their own housing situation before they can take advantage of these favorable home buying conditions. 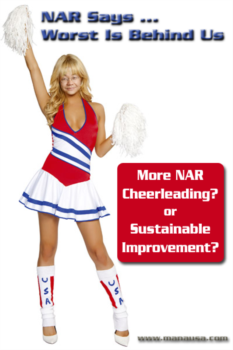 NAR should be reporting the real issues holding back the market, not just spewing the same-old propaganda style hype that we have grown to expect from them. 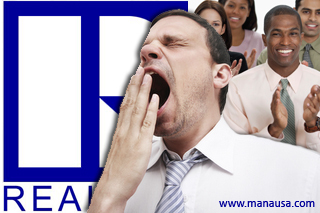 Until then, most of us will be ignoring what NAR has to say in its monthly Pending Home Sales Report.